For the better part of the last decade, lenders have been struggling (often in vain) to comply with the Fair Labor Standards Act. However, curing these problems has often gone hand-in-hand with acknowledging significant liabilities and the risk that well-intentioned changes could spark litigation. Now, the U.S. Department of Labor has announced the PAID (Payroll Audit Independent Determination) program: a six-month pilot program where employers can correct past wrongs without having to pay liquidated damages and attorneys’ fees. In essence, the PAID program allows employers to address and discharge existing liabilities without the threat of litigation or liquidated damages. For lenders, PAID may provide a respite from the swarm of wage-hour litigation that has enveloped the industry. 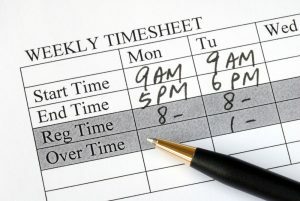 Because the FLSA provides plaintiffs lawyers easy paths toward conditional certification and notice, liquidated damages and attorneys’ fees, as well as employee-friendly presumptions, lenders facing these cases are often in an unfavorable position from the inception. As such, millions have been recovered by loan officers against lenders under the FLSA for minimum wage and overtime. Questions on this topic or other lender issues? Contact Ari Karen at akaren@offitkurman.com or 240.507.1740.